When will be 48 Hours on ID: Left for Dead next episode air date? Is 48 Hours on ID: Left for Dead renewed or cancelled? Where to countdown 48 Hours on ID: Left for Dead air dates? Is 48 Hours on ID: Left for Dead worth watching? 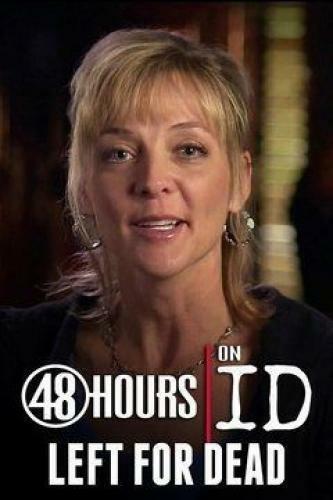 48 Hours on ID: Left for Dead is the 23rd series in A&E's "First 48" TV series franchise. This show features updates on cases from The First 48, including all-new interviews with the detectives involved with the original cases. Seventeen-year-old Angela Rose survives the ordeal of being abducted at knife point and sexually assaulted, then she helps police catch her attacker. Nineteen-year-old Victoria fights to survive after she is kidnapped and raped by two men on Christmas Eve in 1990. Eight-year-old Jennifer Schuett is abducted from her home and survives a vicious attack in which she is raped and has her throat slashed; nearly 20 years later, forensic technology helps to find her assailant. 48 Hours on ID: Left for Dead next episode air date provides TVMaze for you. EpisoDate.com is your TV show guide to Countdown 48 Hours on ID: Left for Dead Episode Air Dates and to stay in touch with 48 Hours on ID: Left for Dead next episode Air Date and your others favorite TV Shows. Add the shows you like to a "Watchlist" and let the site take it from there.